One of the main reasons bacteria are so successful is because they are small. This allows them to exist in a huge number of different habitats that would be unavailable to larger organisms and so gives them a big advantage. But how small are they? 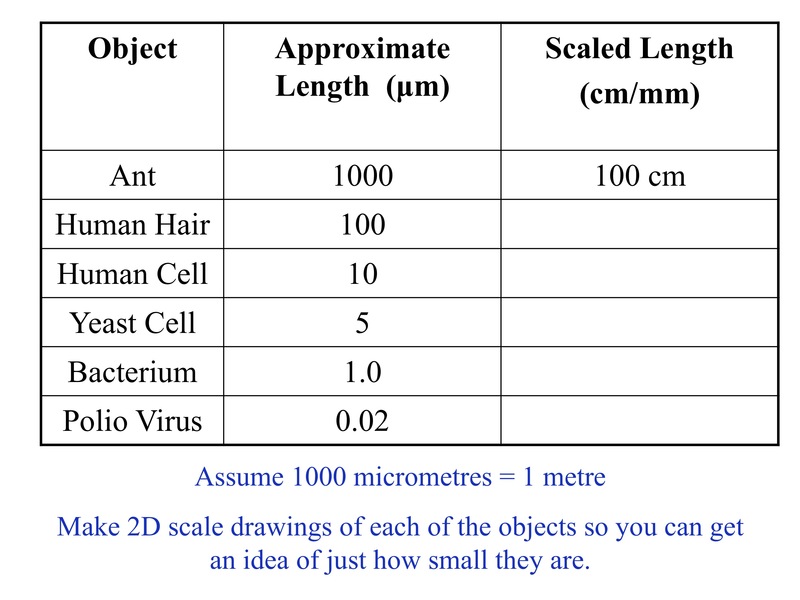 By getting students to build scale models of different organisms they can see for themselves how organisms differ in size and become familiar with converting between different units. It is well worth reviewing standard form before teaching this topic and make sure you help your students to zoom in and out with you! Check out this excellent link to help students appreciate the scale of the Universe.